A collection of key patents related to firefighting equipment. Includes the patents for the ladder truck, respirator, fireman helmet, and hatchet patented from 1858 to 1940. Image size is 27" x 17"
Overall frame size is 22-1/4" x 32-1/4"
Great gift for the firefighter, policeman, or EMT. 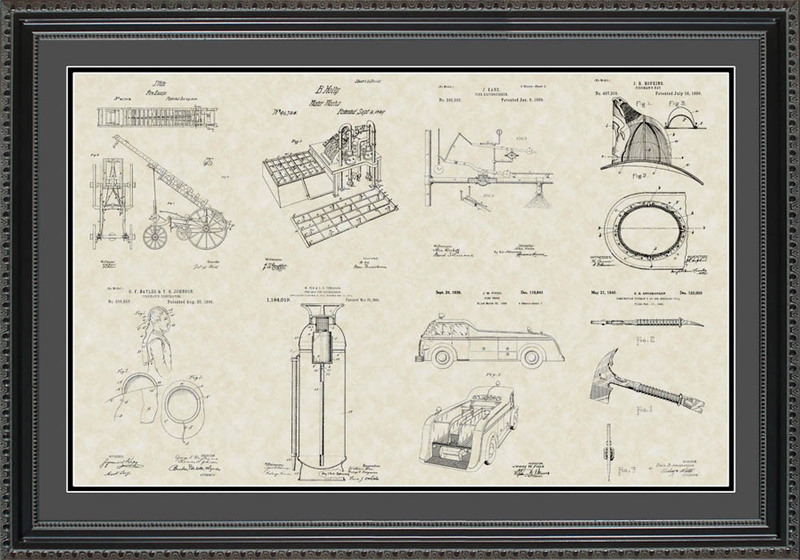 Print displaying a collection of key patents related to firefighting equipment. The picture and frame are of good quality and the picture was packed very well. Even arrived sooner than I expected. This was a gift for my father's 80th birthday and he was very happy with it. Thanks.